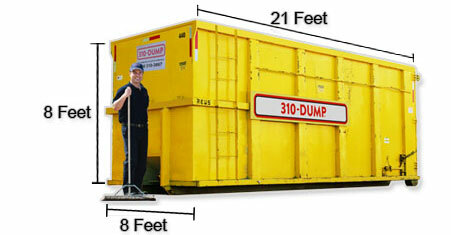 310-DUMP offers professional bin rentals in Calgary and Edmonton. Renting a bin is a simple and easy way to clean up after big jobs. Our drop-off service will deliver the appropriately sized bin right to your site. All you have to do is fill it up and call us back, and we'll haul it off to the dump for you. 310-DUMP provides roll-off bin rental services in and around Edmonton and Calgary for both residential and commercial clientele. Our bins are typically used for the disposal of household junk and construction waste including wood, drywall, concrete, dirt, roofing and flooring. 310-DUMP has been providing junk removal services for over 20 years and is considered amongst the top waste management companies in Alberta that provide roll-off bin rentals. To rent a bin, simply contact us, request a free estimate, or book your service online. Our customer service professionals will provide an accurate quote for service and schedule a bin to be delivered to your location. When you're finished with the bin, simply call and let us know the bin is ready for removal. We'll then arrive and haul the waste for recycling and proper disposal. Roll Off Bins are great for construction clean-ups, residential junk hauling, renovation tear-outs, remodeling clean-up, landscaping projects, concrete, dirt, industrial waste, commercial waste, demolition projects, restoration projects, residential renovation debris, roofing jobs, estate clean-ups and more. We properly dispose of and/or recycle all waste collected on residential, commercial and industrial sites. All 310-DUMP operators are safe and experienced professionals in the waste management industry. We look forward to hearing from you and guarantee our level of customer service will exceed your expectations. It's easy! Just dial 310-3867 or schedule an appointment online. Our professional driver will deliver a bin for your use, to your home business or job site, on a day that is convenient for you. All you have to do is fill up the bin. Call us and let us know that the bin is ready for removal, and we will come and remove your bin and transport it for recycling and proper disposal. Need help on choosing the right sized roll off bin for your home, business or industrial site? Need help on choosing the right sized roll off dumpster bin for your home, business or industrial site? "Thank you, I appreciated the prompt service. Your arranged delivery and pickup times were met and your prices were very reasonable. I was also thrilled with availability on short notice. Thanks again. I will definitely use 310-DUMP again, and tell my friends."